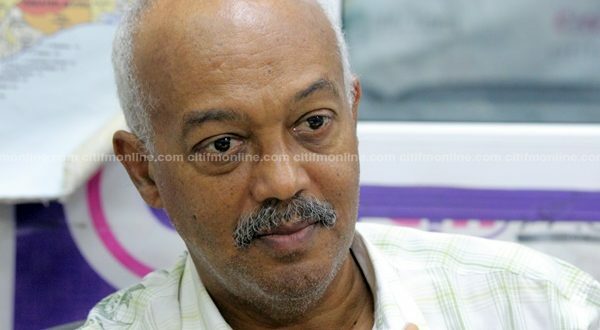 Financial Analyst, Sydney Casely-Hayford has blamed the double payment of salaries to some Members of Parliament who also served ministers and deputy ministers during the John Mahama government on the inefficiencies of the Controller and Accountant General’s Department (CAGD). Speaking on The Big Issue on Saturday, he said although the beneficiary MPs must equally share the blame for not notifying the Controller and Accountant General’s Department, the department had a greater responsibility of ensuring that the right salaries were paid. “If somebody pays you twice for a service which you rendered for them the onus is on your to a large extent to inform the person that you paid me twice because you know you have an agreed fee. So you know. You don’t take the money and hope that the person will not notice it and therefore you keep the money. That is fraudulent,” he said. “It is a two-sided thing. So if you have seen that your account has been credited with an extra GH¢15,000 this month, money that you didn’t expect to have but you have it, you must necessarily inform the Controller that you have received two payments and the controller will have to fix it on his side…. [but] to a large extent the problem is coming from the controller and accountant general’s department. He will only work on paperwork that has been giving to it from the administrative centers that are managing the salaries…. Even if he doesn’t get the paperwork, he has to be vigilant enough to have enough controls to ensure that he doesn’t pay anybody twice…. There are big problems are the CAGD. Their software and backups systems are not working and they are not paying attention, which is why we are getting who are we are getting,” he said. Some NDC MPs have come under attack over allegations that they received salaries while serving as both Members of Parliament and Ministers or Deputy Ministers. The Criminal Investigations Department of the Ghana Police Service is currently investigating the matter and is inviting some accused persons for questioning. Although it annulled the invitation of 18 out of the 25 accused persons last week, it said it would soon reinvite them to help in investigations. But at a press conference on Tuesday, the Minority Spokesperson on Finance, Cassiel Ato Forson said the accusation is only geared towards unnecessarily “criminalizing and harassing” Minority MPs. “Government must be an indecent hurry to divert attention from its failings by its pathetic attempt to push us into submission. No wonder government ended up with eggs on its face yesterday [Monday],” he said. But Sydney Casely-Hayford believes that the Controller and Accountant General must take responsibility for the incident and improve upon its operations to ensure that the taxpayer is not burdened by its inactions.